Ariel Pink will perform at the Modern Sky Festival. Post-punk band Gang of Four and the eclectic singer Ariel Pink will play at the second US edition of China's expanding Modern Sky Festival. Gang of Four, a veteran British group, takes its name ironically from the clique of powerful hardliners during China's Cultural Revolution, although the name's connection to the communist nation appeared to be coincidental for the festival. The Beijing festival, which started in 2007 and has rapidly grown amid a boom in live music in China, will for the second year put on a version in New York's Central Park, on October 4. Organizers on Thursday announced the addition of a second US city, with the festival coming to Seattle on October 11. "Modern Sky plans to launch the festival in more US cities in 2016. This is only the beginning," Michael LoJudice, general manager of Modern Sky International, said in a statement. Gang of Four will headline both the New York and Seattle shows. 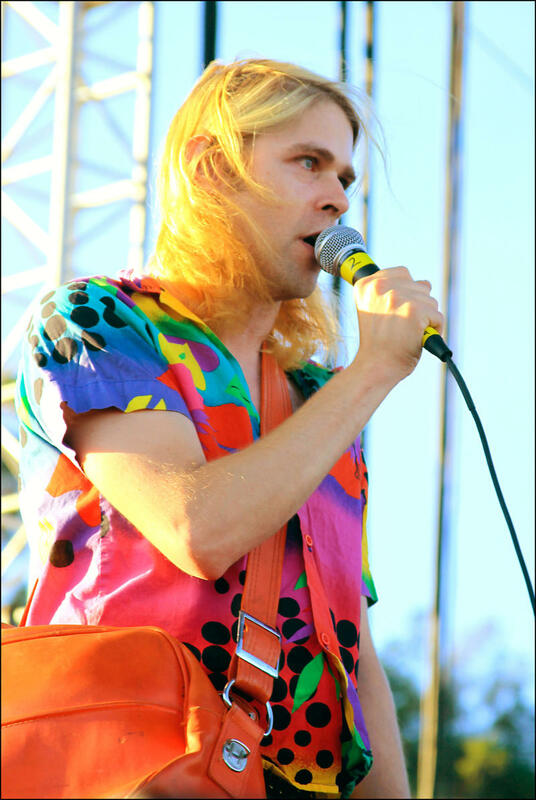 The Seattle concert will also bring in Ariel Pink, the prolific Los Angeles singer inspired by eclectic influences including 1980s cassette culture, and Atlanta garage rockers Black Lips. The concerts will also showcase Chinese musicians, with performers in both cities including the folk ballad singer Song Dongye and Beijing punk act New Pants. Last year's headliners included the acclaimed but often erratic indie rock singer Cat Power and Second Hand Rose, a gender-bending Chinese rock act which incorporates folk culture.